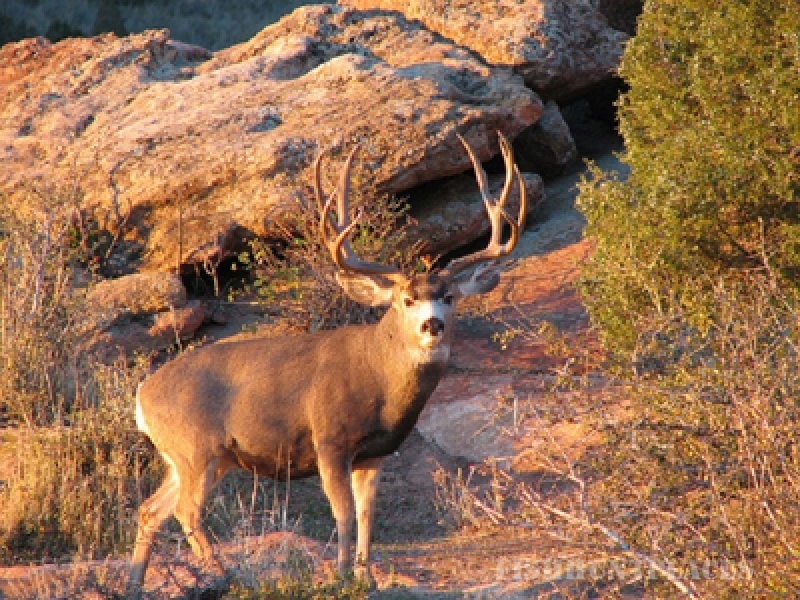 Arizona Wilderness Hunting Adventures is a specialized hunting service which offers unique wilderness educational hunts for Arizona’s various big game animals, including: desert bighorn sheep, elk, mule deer, whitetail deer, javelina, mountain lion, black bear and predators. The owner/operator of this unique adventure company is Rob Hardy. Rob is a licensed, permitted, bonded and insured guide/outfitter and he’s been hunting the Desert Southwest since the mid 1970’s. He’s experienced with and knowledgeable of Arizona’s big game species and he intimately knows the Arizona wilderness. Rob is well-versed as a survival expert in an arid environment. His hunting expertise, commitment to ethics and his belief in aesthetics and selective big game hunting is second to none. Arizona Wilderness Hunting Adventures offers custom-tailored hunting trips and each hunt is personally guided by the outfitter. Species available are: desert bighorn sheep, Rocky Mountain elk, Rocky Mountain mule deer, Sonoran mule deer, Coues whitetail deer, javelina, mountain lion (cougar), black bear and predators (coyote, fox and bobcat). Hunting trips are all-inclusive from Phoenix, Arizona. Depending on the specie or species hunted, the duration of hunts range from four-day trips to fourteen-day expeditions. The hunts include a custom-tailored hunt itinerary, transportation to and from the field, full-service guiding, camp accommodation while in the field, meals while in the field, trophy and meat care while in the field, and personalized assistance when planning your trip. Arizona Wilderness Hunting Adventures and Rob Hardy personally invite you to experience the wonders and excitement of hunting big game in the Desert Southwest. It’s an experience not soon forgotten and you will be pleased with the result provided by an expert who cherishes the wild characteristic of Arizona’s backcountry environment. So, become a participant with nature and take part in a unique hunting adventure by booking your trip with Arizona Wilderness Hunting Adventures and Rob Hardy.